Hello Lovelies! Have you started your holiday shopping yet? I have...well technically it's for myself, but that counts right? Okay, okay, I know I need to get going on buying gifts for people on my list, but hey a girl can treat herself too during the process right? 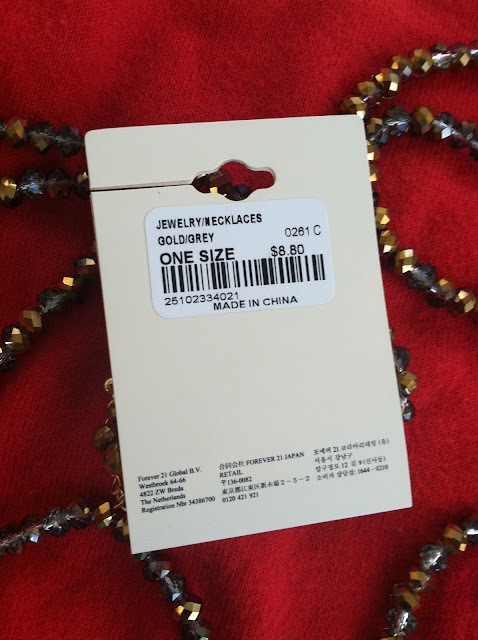 I knew I wanted necklaces that had some holiday sparkle to jazz up my outfits, but I didn't want the typical screaming "Ho, Ho, Ho" accessories. 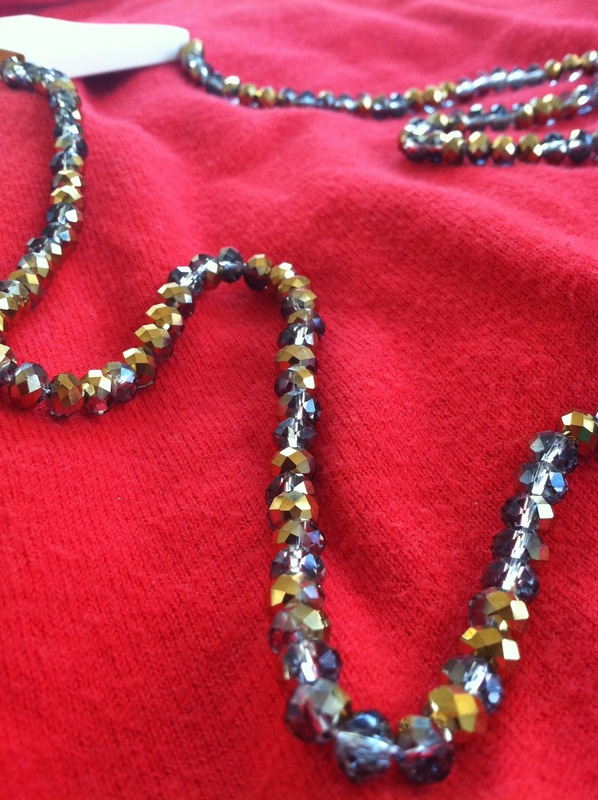 So I decided to go with necklaces that had gold accents since gold to me speaks festive this time of year. The first necklace I picked up was this Geo-styled bib necklace. 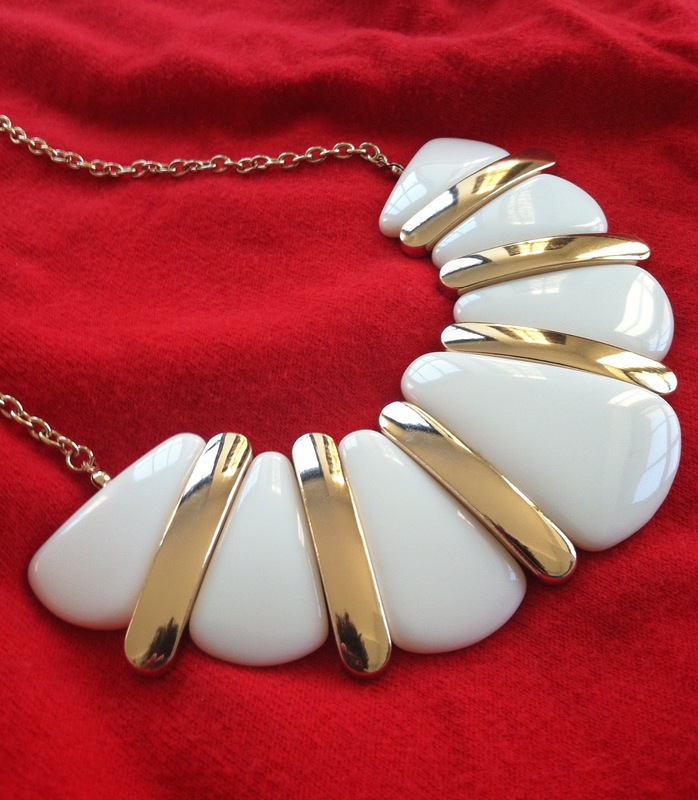 The crescent shape is great under collars and I love the cream against the gold. It is available in black and gold as well--which is a trend combination right now--but I felt that the cream would be more versatile in my wardrobe with lighter colors. I do plan on getting the black and gold one eventually though since I like the cream one so much. As with just about all their jewelry I love their prices. This statement piece was a great deal at $8.80. Not bad for a necklace that can be worn with so many options. The next piece I purchased was this stunning Duo-Tone Bead necklace. Love how I styled her into a little tree? I couldn't resist TEE-HEE! I wasn't convinced at first that I would like this necklace because it looked too simple, but once I put it up to my neck it sparkled...literally. The gold/grey duo-tone of this necklace catches so much light. It doesn't seem like it, but it really does spark a sense of glitz in a simple way. It is perfect for layering with other necklaces of a similar feat. You could even buy more of them and layer them up together to create an even bigger duo-tone impact--I just might have to do that. This simple but glitzy necklace also comes in at the great price of $8.80. Even if you don't purchase it for yourself, it would be a great gift for someone special say your friend, sister, split personality named Sandra...shhhh Sandra, no one is supposed to know about you. Okay, where was I? Taking some inspiration from one of my favorite blogger's post at ThirtySomethingFashion, I decided to pair these necklaces with mint-green and red. Please excuse the mess behind me...and my spotty mirror. *Sigh* With the neutral black pants and over the knee boots I think this outfit was a success. It said holiday without screaming "Santa's Coming to Town!!" What are your holiday go to's this season? Have you found any stylish compliments that have been putting you in the holiday spirit? 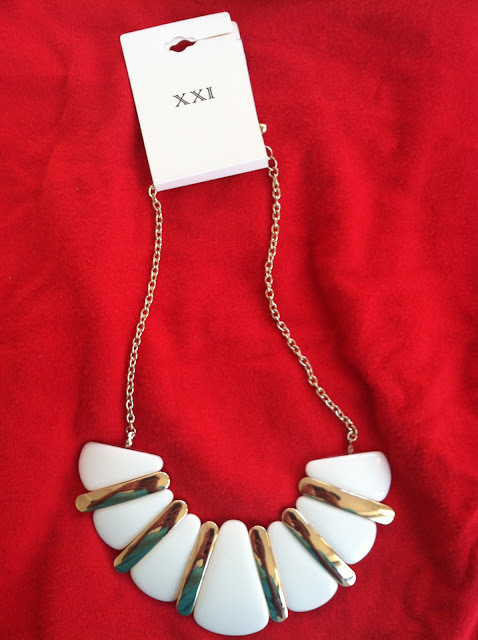 LOVE the white necklace - it is perfect for the holidays! I love that cream necklace...didn't think I did until I saw it on you. Nice! You're right...there's lots of options that you could use with it. And what girl doesn't love a little sparkle??!! 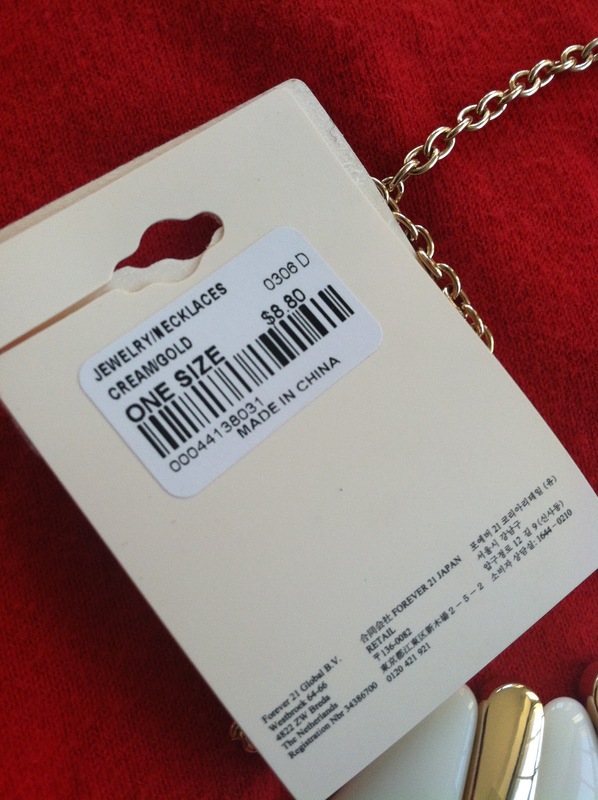 LOVE that bib cream necklace...looks WAY pricier than 8 bucks. 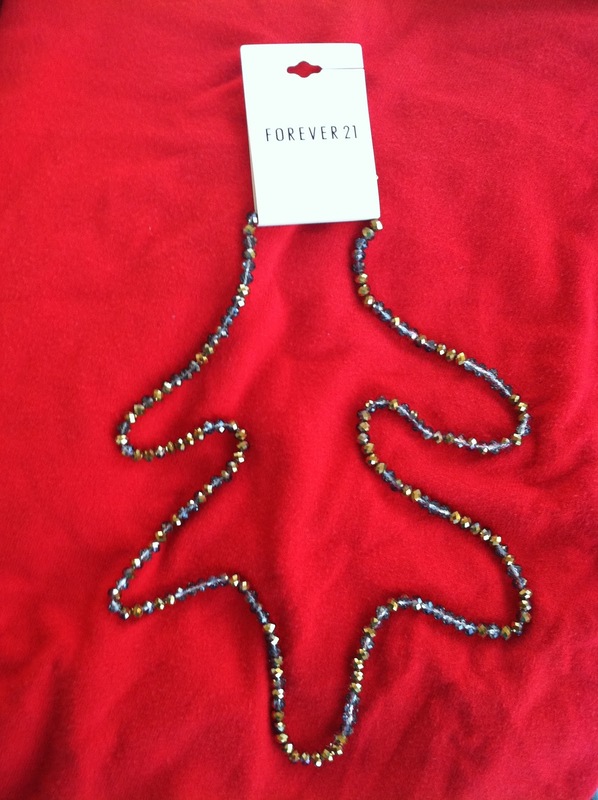 I never think to go to forever 21 for accessories...actually small confession, I rarely go to malls, lol. 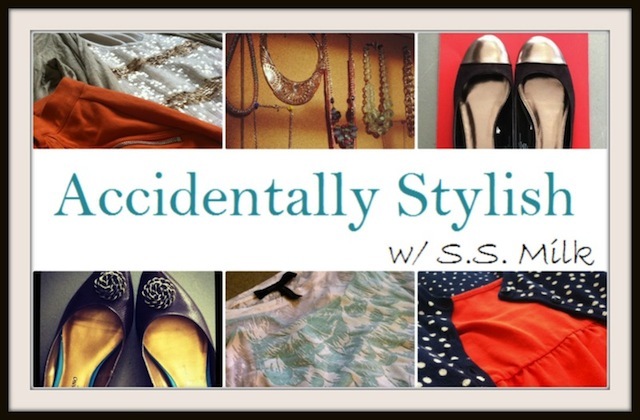 I am such a small boutique shopper. But those prices might be worth a visit. Love it as the collar to your red sweater.